The fascinating story of a Baltic Country, predominantly Catholic and Lutheran, that is slowly adopting Orthodoxy—"a faith that has not undergone any changes over two millennia." ““In the Catholic and Lutheran Churches you don’t feel the breath of God"
European Christians are complaining about the emptying of churches. The older generation is dying, and only a few adherents are replacing them. It would seem that a Catholic country such as France, at the Easter services—and not just anywhere but in the Notre Dame Cathedral—it would be impossible to get in. Especially considering that the cathedral contains a great Christian relic—Christ’s Crown of Thorns. Nothing of the sort—the cradle of French Catholicism is just slightly over half full on the Feast of Feasts. We hear the same complaints from both Catholic and Protestant prelates in other Europeans countries. But in Latvia, it’s all going the other way around. 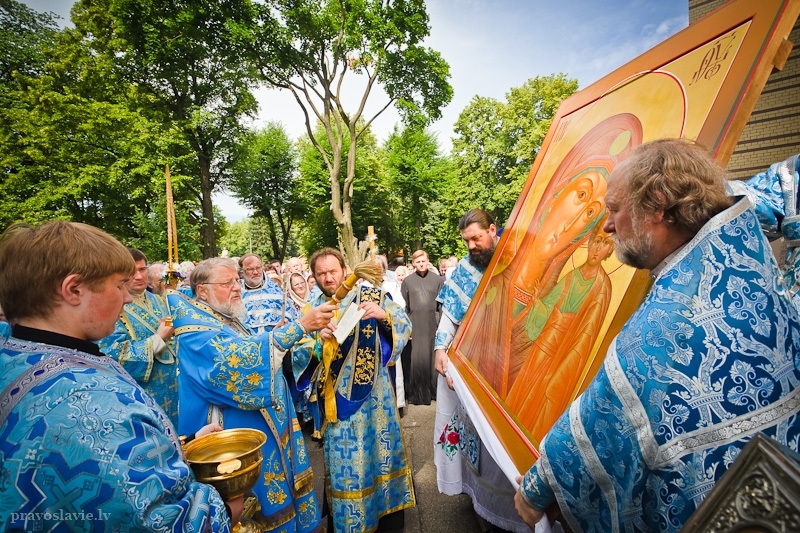 This is connected with the rebirth of Orthodoxy in that country. Orthodoxy in Latvia has a long and interesting history. It is rare that one sees such an amazing, authentically Christian, peaceful unification of the fates of two peoples who are in many ways very different from each other, especially when the relations between their governments are so cold, to put it mildly. Truly the Spirit blows where it will (Jn. 3:8), and no politics, nationalists, or other infernal meddlers can do anything with the Latvians, who are already turning to Orthodoxy en masse and praying side-by-side with Russians… in the Latvian language. They say that Peter the Great decided to make an ethnic experiment. To Livonia were sent hundreds of Russian families with the intention of assimilating the Latvians. But God’s ways are unfathomable, and the opposite occurred—the Russians became Latvians. True, they retained not only their Russian surnames: Petrovs, Markovs, Nicholaevs, but also the Orthodox faith of their fathers. The first wooden church of the Protection of the Mother of God was built in 1779 on the outskirts of Riga at the initiative of the Vidzeme governor general, Count Brown. Its history traces back to a wooden chapel (1777), which was located beyond the Rogula gates at the military cemetery. The Russian settlers practically forgot their written Russian language, although they continued to pray in Church Slavonic. Gradually their neighbours, simple Latvian Christians, started coming to these Orthodox communities. And then a small miracle occurred. As we know, Latvia is a multi-confessional country. The Latvian territories over the Middle Ages were divided into the lands of the Teutonic and Livonian orders—the Archbishops of Riga and Lithuania. When the Reformation hit, Latvians found themselves divided by religious principles. Where Lutherans were established, the population became Lutheran, and where Catholics reigned their subjects remained Catholic. The Catholic services were in Latin, and the Lutheran services were in German. The Latvians did not understand anything in either church. 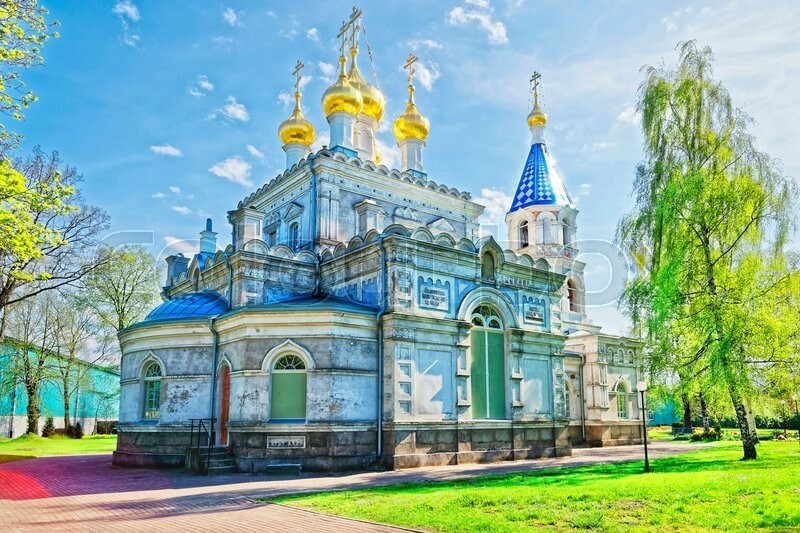 But the Russian peasants were religiously head and shoulders above their neighbours; after all, all the sacred books and prayer books were written in the Church Slavonic language fully understandable to them. Moreover, the Latvians had been baptized about 300 years later than the Russians, and they had no religious thinkers of their own, nor any literature in their national language. Thus, the Russians revealed the good news of the Gospel to the Latvians. In Latvia there were never any native feudal lords and nobles. All government officials of any importance at all, as well as the landowners, were all Germans, at times Lithuanians. They generally viewed the Latvians as foreigners or second-class citizens. For example, only Peter the Great permitted Latvians to remain in Riga for entire 24-hour periods. For some reason the current politicians do not want to recall these facts, but they do make first-graders diligently read about the losses the country sustained under Soviet occupation. But let them do as they please! There are other Latvians, and apparently not a few. On April 14, 1845, the Protection Church was given to the Riga Latvian Orthodox parish. This was needed, because in that period many Latvians had converted to Orthodoxy. On April 22, 1845, the archpastor Philaret gathered the Latvian clergy of the church, and Fr. Yakov Mikhailov was appointed the priest. The first service in the Latvian language took place in the Protection Church on April 29, 1845. There were so many people wanting to attend that the church could not fit a tenth of all the Orthodox Latvians and faithful gathered from the whole region. The Orthodox surrounded the church on all sides and prayed outside. With time there was another more spacious Latvian Orthodox church built. Interestingly, for various technical reasons such as fires or unfinished churches, there existed a mixed Latvian-Russian community. The unification of the Latvian and Russian parishes into a single parish took place on June 1, 1858. After the organization of the Latvian-Russian parish, the number of parishioners reached 1200. From that point on the services were conducted in mixed Slavonic and Latvian. But by September 9, 1879, services were being conducted in Latvian in the new Resurrection Church. Nevertheless, the spiritual and personal ties were not severed. Little-by-little, small Latvian communities formed in Russian parishes, with part of the services conducted in their national language. In Novemeber 1892, in the village of Kolke, Liepais deanery, a new Latvian Orthodox church was sanctified in honor of the Nativity of Christ. This church is unusually interesting in that during the years between the two World Wars, services there were in the language of the Livs, the native population of that region, ethnically closer to Estonians and Finns. And it was all done in a semi-underground way—against the policies of the then-president of Latvia Karlis Ulmanis, who directly forbade the written Liv language. The parish was aided in their publishing activities by Orthodox Estonians and Finns. Only this over several decades prolonged the life of the language, allowing specialists to study it thoroughly with the help of living native speakers of this very rare speech. The last pure-blooded Liv died in 2009. According to the most optimistic assessments, there are now only around 210 people who know the language of the ancient Livs. The Latvian Church also has its own saint, holy Hieromartyr John (Janis Pommer), Archbishop of Riga and Latvia, murdered on October 12, 1934. His remarkable Life demands a separate article. Apparently it is also by his prayers that the number of Orthodox Latvians has increased significantly in recent times. The former deputy of the Jurmala City parliament and current editor-in-chief of Radio Jurmala Janis Kuzin has also come to the Orthodox Church. His main motive is the most desirable one: the search for truth. One day he was conducting a radio program with a former Catholic who had joined an Islamic community and become its press secretary. Janis was taken aback by his guest’s admission, for which his soul had apparently waited a long time: “Only those who live completely according to the fundamental laws given in the Catholic or Lutheran churches can call themselves Catholics or Lutherans; but if people abandon their roots for the sake of political gain and become liberals, then they are no longer Catholics or Lutherans. And then Janis turned to Orthodoxy—a faith that has not undergone any changes over two millennia. “In the Catholic and Lutheran Churches you don’t feel the breath of God. Therefore it is consoling that Latvians are seeking themselves not in sects, but in Orthodoxy. Although unfortunately, sectarianism is currently a real problem in Latvia. Lutheranism is a secular religion bound up with the state, and all official events in Latvia take place in Lutheran churches. But even when the head of the government and president of Latvia participate in these events, the Lutheran churches are half empty. 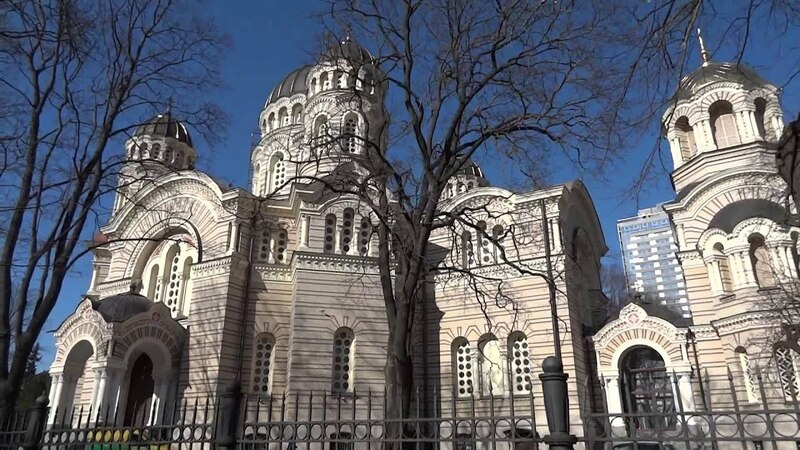 But when these events take place in Orthodox churches, the church is packed.” This is despite the fact that nationalists control the Ministry of Justice and often conduct unfounded inspections of Orthodox churches that border on sacrilege. 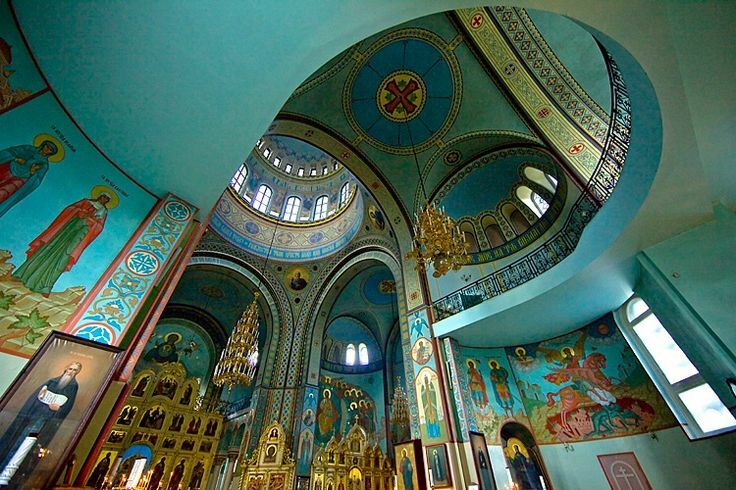 For example, women inspectors try to bust into the altar, which, as we know, is not allowed in the Orthodox Church. These days you can’t fool anyone. Not sports teams, nor musical societies, nor any other special interest groups, which are so widespread in the practically state Latvian church, can help it hold on to its parishioners. If there is no spirit, no divine grace, no connection in time, then you can form hundred sports teams but no one will come. Especially since there are plenty of places where people can practice sports or play music. But on the contrary, no matter how much you berate Orthodoxy and its hierarches, the members only increase. And the war on Orthodoxy is something not at all contrived. Orthodoxy is strength. First of all because it develops a personality that is free from sin—and that is its “fault” for those who would like for all people on earth to do the bidding of a cabal of power brokers in the financial world. And, of course, an Orthodox Christian is free: Where the Spirit of the Lord is, there is liberty (2 Cor. 3:17). He is not fogged in by the strict legalistic dogmas of Catholicism and the primitivism of Lutheranism, which still considers that if a man is wealthy, he has grace. What is different about the Orthodox? Our sufficiency is of God; Who hath made us able ministers of the new testament; not of the letter, but of the spirit: for the letter killeth, but the spirit giveth life (2 Cor. 3:5-6).